We served this to the Collets at our pre Movie dinner and very well received it was too. This is the 2010 vintage and I remember being disappointed by the 2009 so this richly mellow offering surpassed the movie experience – true to its name – ‘Cold in July’. 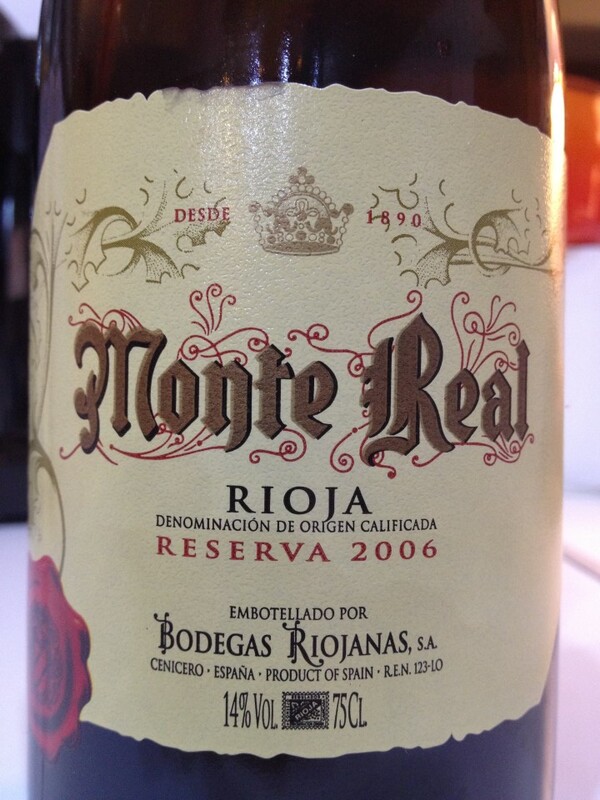 Continuing the Spanish Red theme, this went with the cheese. Aged for 24 months in Oak barrels and a further 36 months in the bottle this is mellow yet full bodied. Typical Rioja, 100% Tempranillo from the Cenicero Vineyards. 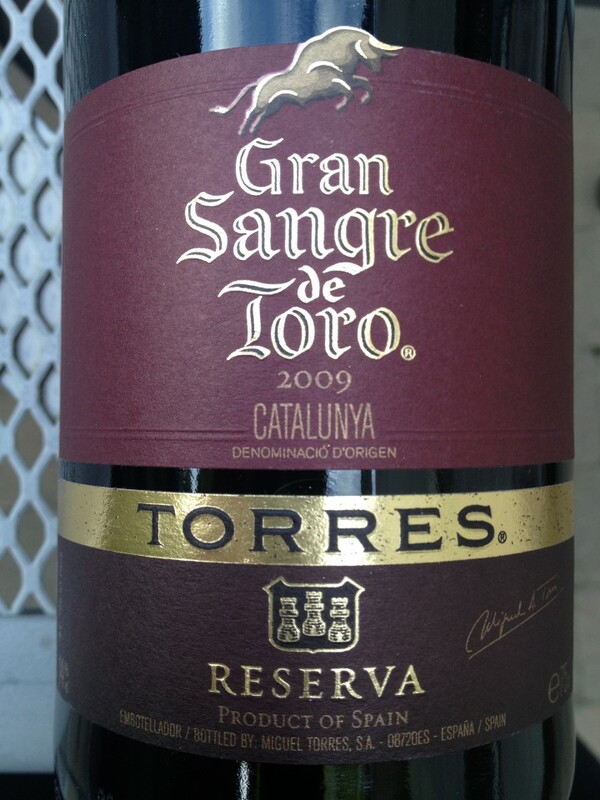 Superior to the Gran Sangre de Toro we tasted at the same meal. A Christmas Corporate Gift. 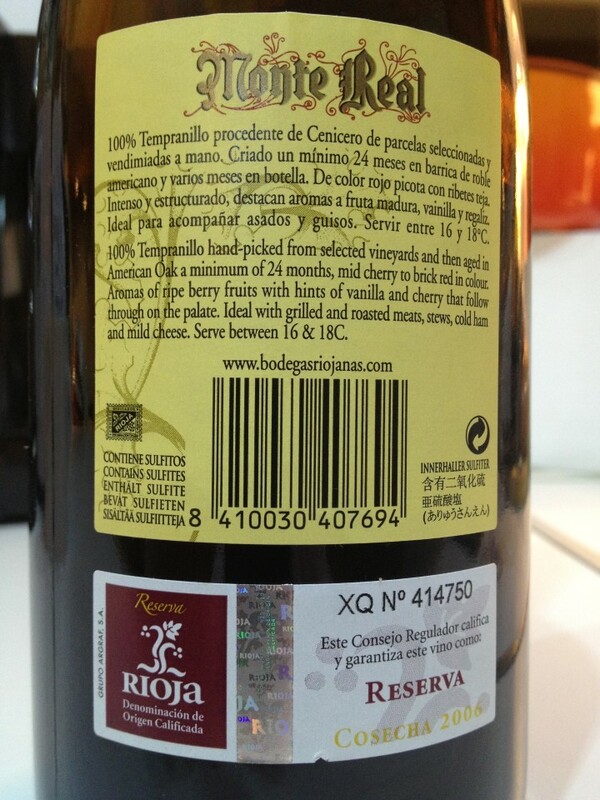 The Bodegas Riojanas S.A. Group is a publically quoted group with Spanish and Portugese interests. 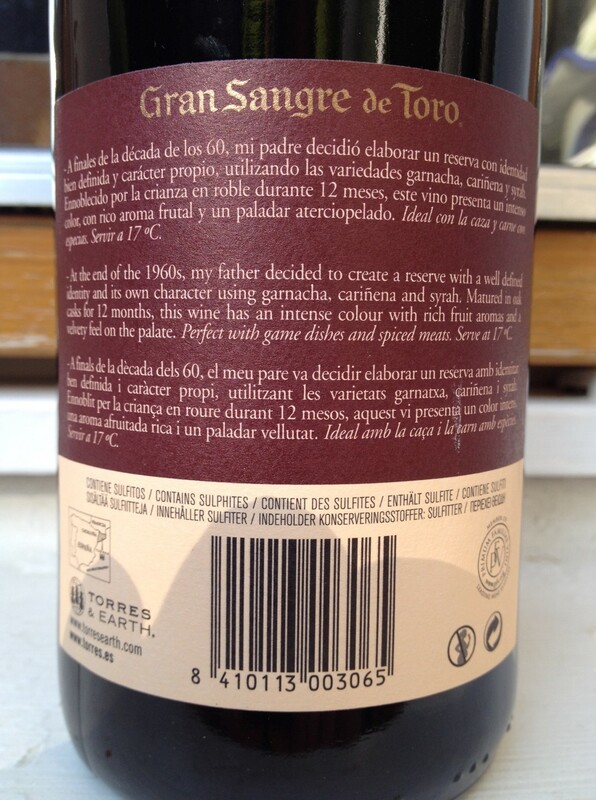 I am a big fan of Miguel Torres and his wines and regularly buy Vina Sol and the Coronas table wines. His Chilean Santa Digna offerings are pretty good too. 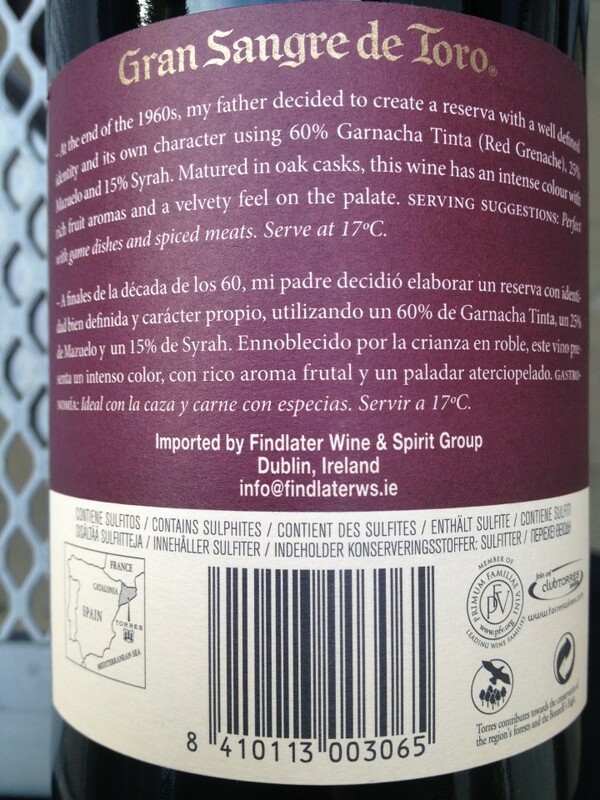 So I was a bit disappointed with this Reserva which I found in Dunnes and served at a dinner party. Deep berry colour, fruity with a slight hint of spice but just didn’t have the complexity going the extra distance for a grand reserve. 2nd bottle served showed signs of slight oxidation so perhaps it’s approaching / passing its drink by.